To my Oma (meaning “grandma” in German), food was love and feeding her family truly gave her so much joy. Most of my earliest memories of her revolved around food—the shopping, the cooking, the serving, the presentation and, ultimately, the dining. Food was a blessing and good food was a joyous occasion. 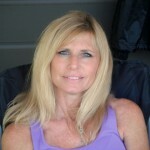 As a very skinny child, as well as being her first grandchild, I posed a feeding challenge to her that brought out a determination in her that wouldn’t quit. Oma wasn’t satisfied until I finished everything on my plate and then, two more, extra forkfuls were produced out of thin air. Even though getting me to eat seemed to be her mission in life, it usually wasn’t much of a problem because she always made me everything that I loved. 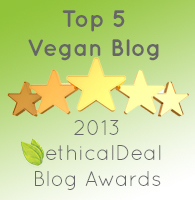 Results were guaranteed in this way and it was a win-win for both of us! Most adoring grandma’s love to serve their grandchildren their favorite foods—to describe Oma in that way would wildly understate her obsession and downright vigilance in feeding her children and grandchildren and great-granchildren. If feeding gave her joy, then the converse was even more true—when you didn’t eat what she served you, a serious inquisition ensued, followed by a relentless, nagging technique so persuasive that it was just easier to give in and eat. Virtually everything Oma cooked was prepared in the same way that she had done so in pre-WWII Austria—fresh or unprocessed, from scratch, without shortcuts or artificial anything. Time had stood still in Oma’s kitchen! One of my favorite things that she always served with every meal was her applesauce. This applesauce was nothing like the jarred stuff at the supermarket. It was a side dish to help “wash down” the meal, but it was also a healthy and wholesome dessert, always available. Before she passed away at the age of 101 last year, I asked her how she made her applesauce and, of course, she was thrilled to explain it to me. When I make it now, it tastes exactly like hers and it truly evokes loving memories of her. My kids love it too, so I make a big batch and put it in the fridge. It doesn’t take long to disappear! The recipe is ridiculously simple, but in her day, simple and natural was the best and most delicious. It feels like we are coming back to that philosophy, don’t you think? This applesauce is both sweet and tart, juicy and refreshing! She lived such a long and healthy life—could it have been the applesauce? 1) Peel, core and slice each apple into 8th’s. Do not chop into little pieces! 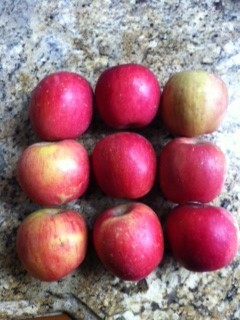 Each apple should be quartered and then each quarter should be halved to make 8 slices. 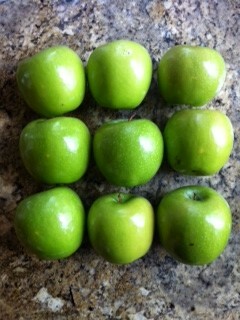 2) In a large soup pot, put all the apple slices. 3) Pour 4 cups of water into the pot. 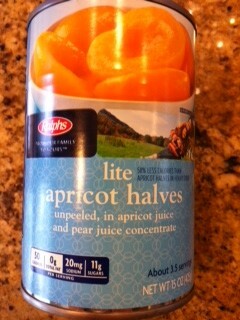 4) Pour the 2 cans of unpeeled apricot halves with light juice into the pot. 7) Allow to cool and mix very gently. You do not want to create a smooth consistency. Don’t worry if seems watery, it will thicken when chilled. 8) Put in the refrigerator overnight and enjoy it cold the next day. 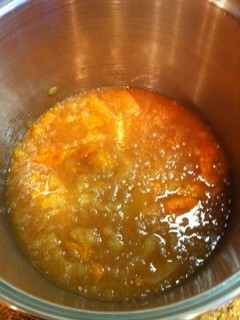 Notes: For a smaller batch, use 6 granny smiths and 6 fuji’s and only one can of apricots. 1. Apples lower cholesterol. They have pectin which is soluble fiber that has been linked to lowering levels of LDL cholesterol by blocking its absorption. 2. Apples keep you full. At only 95 calories, it has a wealth of complex fiber which keeps you feeling fuller. 3. Apples may keep you slim. The ursolic acid in the skin was linked to lower risk of obesity in mice, boosting calorie burn and increases muscle. 4. Apples can help breathing problems. 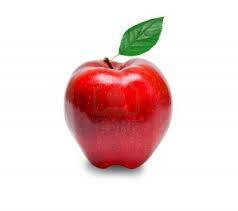 Five or more apples a week has been linked with better lung function most likely from the quercetin in the skin. 5. Apples boost your immune system. Apples are considered a good source of Vitamin C.
6. Apples may fight cancer. Chemicals in apples were found help prevent colon, liver and breast cancer. 7. Apples decrease the risk of diabetes. Apples, as well as pears and blueberries were linked with a lower risk of type 2 diabetes because their antioxidants. 8. Apples are good for your brain. Apples have been linked to an increase in acetylcholine which can help your memory and lower your chance of developing Alzheimer’s. You are right Ellen, we definitely are headed back to the “simple and natural” philosophy of cooking!!! Great recipe, I’ll give it a try! Since you knew Oma, I would be honored if you tried the recipe!! You were lucky to grow up with such a wonderful Oma! I think it’s about time that family’s start preparing whole foods the old-fashioned way. The combination of the Fuji and Granny Smith Apples look so appealing. I can’t wait to give this a try. I bet the addition of the apricot flavor gives it a real kick too! You’re welcome Anita! Ellen’s Oma was very special, and you are very lucky to have had a wonderful Oma too! Your comment brought tears to MY eyes! Only people who have had an Oma can truly understand! Please let me know what you think if you make the applesauce, if it evokes your Oma.